One of the favourite accompaniments for Biryani. Actually there are quiet a variety and can be done with cucumber, tomato, boondi & even bhindi. 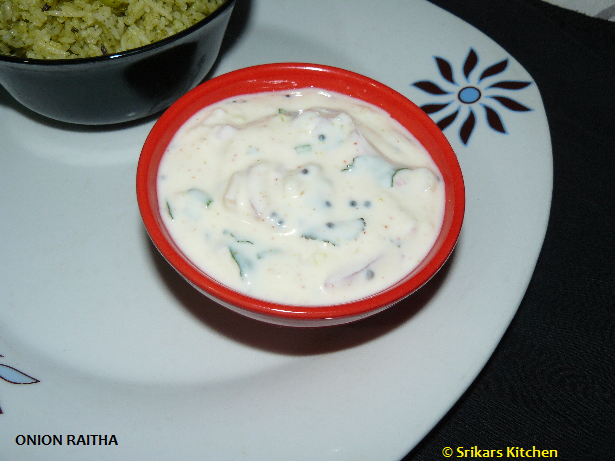 It all depends on the type of yoghurt used & also the type of vegetables used. In Persian cuisine its called Tzatsiki where a little bit of raw garlic is used with Mint & cucumber to give more flavour. Take a bowl add yohurt,red chilli powder, Cumin powder, salt, chopped onion, coriander leaves & mix well. Temper with mustard & add to the raitha. Serve with Biryani, pulao or roti. 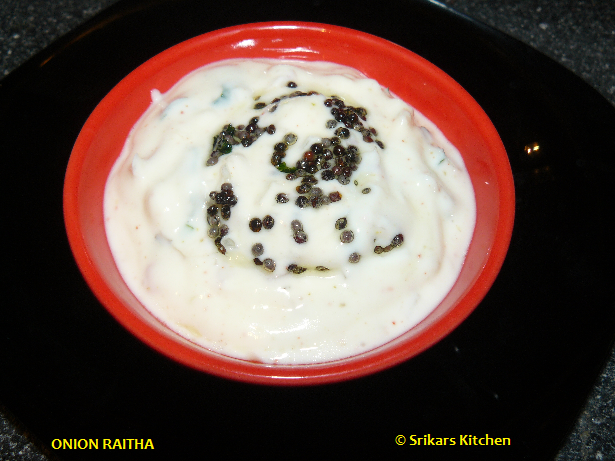 Very healthy and yummy raita. Glad to follow your blog. you have very nice recipes. Do visit my space when you get time.